Agrarian Environments questions the dichotomies that have structured earlier analyses of environmental processes in India and offers a new way of looking at the relationship between agrarian transformation and environmental change. The contributors claim that attempts to explain environmental conflicts in terms of the local versus the global, indigenous versus outsiders, women versus men, or the community versus the market or state obscure vital dynamics of mobilization and organization that critically influence thought and policy. Editors Arun Agrawal and K. Sivaramakrishnan claim that rural social change in India cannot be understood without exploring how environmental changes articulate major aspects of agrarian transformations—technological, cultural, and political—in the last two centuries. In order to examine these issues, they have reached beyond the confines of single disciplinary allegiances or methodological loyalties to bring together anthropologists, historians, political scientists, geographers, and environmental scientists who are significantly informed by interdisciplinary research. 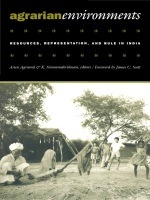 Drawing on extensive field and archival research, the contributors demonstrate the powerful political implications of blurring the boundaries between dichotomous cultural representations, combine conceptual analyses with specific case studies, and look at why competing powers chose to emphasize particular representations of land use or social relations. By providing a more textured analysis of how categories emerge and change, this work offers the possibility of creating crucial alliances across populations that have historically been assumed to lack mutual goals. Agrarian Environments will be valuable to those in political science, Asian studies, and environmental studies. 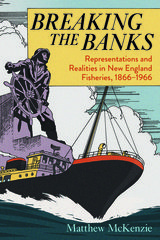 With skillful storytelling, Matthew McKenzie weaves together the industrial, cultural, political, and ecological history of New England's fisheries through the story of how the Boston haddock fleet -- one of the region's largest and most heavily industrialized -- rose, flourished, and then fished itself into near oblivion before the arrival of foreign competition in 1961. 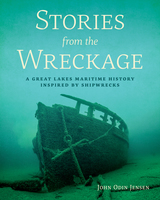 This fleet also embodied the industry's change during this period, as it shucked its sail-and-oar, hook-and-line origins to embrace mechanized power and propulsion, more sophisticated business practices, and political engagement. Books, films, and the media have long portrayed the Yankee fisherman's hard-scrabble existence, as he faced brutal weather on the open seas and unnecessary governmental restrictions. As McKenzie contends, this simplistic view has long betrayed commercial fisheries' sophisticated legislative campaigns in Washington, DC, as they sought federal subsidies and relief and, eventually, fewer constricting regulations. This clash between fisheries' representation and their reality still grips fishing communities today as they struggle to navigate age-old trends of fleet consolidation, stock decline, and intense competition. This remarkable volume examines the process by which three deaf, French biographers from the 19th and 20th centuries attempted to cross the cultural divide between deaf and hearing worlds through their work. The very different approach taken by each writer sheds light on determining at what point an individual’s assimilation into society endanger his or her sense of personal identity. Author Hartig begins by assessing the publications of Jean-Ferdinand Berthier (1803-1886). Berthier wrote about Auguste Bébian, Abbé de l’Epée, and Abbé Sicard, all of whom taught at the National Institute for the Deaf in Paris. Although Berthier presented compelling portraits of their entire lives, he paid special attention to their political and social activism, his main interest. Yvonne Pitrois (1880-1937) pursued her particular interest in the lives of deaf-blind people. Her biography of Helen Keller focused on her subject’s destiny in conjunction with her unique relationship with Anne Sullivan. Corinne Rocheleau-Rouleau (1881-1963) recounted the historical circumstances that led French-Canadian pioneer women to leave France. 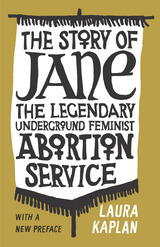 The true value of her work resides in her portraits of these pioneer women: maternal women, warriors, religious women, with an emphasis on their lives and the choices they made. Crossing the Divide reveals clearly the passion these biographers shared for narrating the lives of those they viewed as heroes of an emerging French deaf community. All three used the genre of biography not only as a means of external exploration but also as a way to plumb their innermost selves and to resolve ambivalence about their own deafness. How was Germany's experience of World War I depicted in film during the following years? 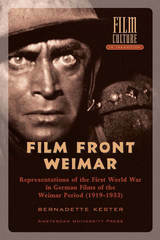 Drawing on analysis of the films of the Weimar era—documentaries and feature films addressing the war's causes, life at the front, war at sea, and the home front—Bernadette Kester sketches out the historical context, including reviews and censors' reports, in which these films were made and viewed, and offers much insight into how Germans collectively perceived World War I during its aftermath and beyond. 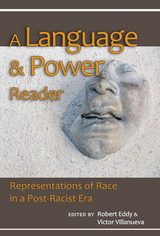 A Language and Power Reader organizes reading and writing activities for undergraduate students, guiding them in the exploration of racism and cross-racial rhetorics. Introducing texts written from and about versions of English often disrespected by mainstream Americans, A Language and Power Reader highlights English dialects and discourses to provoke discussions of racialized relations in contemporary America. Thirty selected readings in a range of genres and from writers who work in ?alternative? voices (e.g., Pidgin, African American Language, discourse of international and transnational English speakers) focus on disparate power relations based on varieties of racism in America and how those relations might be displayed, imposed, or resisted across multiple rhetorics. 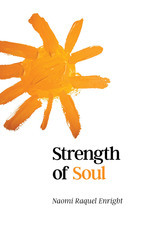 The book also directs student participation and discourse. Each reading is followed by comments and guides to help focus conversation. Research has long shown that increasing a student?s metalinguistic awareness improves a student?s writing. No other reader available at this time explores the idea of multiple rhetorics or encourages their use, making A Language and Power Reader a welcome addition to writing classrooms. 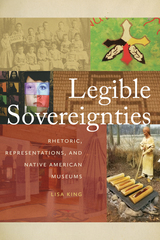 An interdisciplinary work that draws on the fields of rhetorical studies, Native American and Indigenous studies, and museum studies, Legible Sovereignties considers the creation, critical reception, and adaptation of Indigenous self-representation in three diverse Indigenously oriented or owned institutions. King tracks the exhibit spaces at the Saginaw Chippewa Indian Tribe of Michigan’s Ziibiwing Center, Haskell Indian Nation University’s Cultural Center and Museum, and the Smithsonian’s Washington, DC branch of the National Museum of the American Indian over their first ten years, from their opening until the summer of 2014. Far from formulaic, each site has developed its own rhetorical approaches to reaching its public, revealing multiple challenges and successes in making Native self-representation legible and accessible. Through documentation and analysis of the inaugural exhibits and recent installations, interviews with curators and staff, and investigation into audience reception of these spaces, Legible Sovereignties argues that there can be no single blanket solution for effective Indigenous self-representation. Instead, Legible Sovereignties demonstrates the nuanced ways in which each site must balance its rhetorical goals and its audience's needs, as well as its material constraints and opportunities, in order to reach its visitors and have Indigenous voices heard. Mirabile Dictu covers in six separate chapters the works of Virgil, Dante, Boccaccio, Ariosto, Tasso, and Spenser. 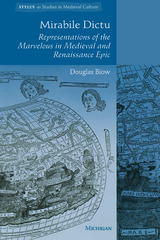 Its broad aim is to provide a select cross-section of works in the Middle Ages and Renaissance in order systematically to examine and compare for the first time the marvelous in the light of epic genre, of literary and critical theory (both past and present), and of historically and culturally determined representational practices. Douglas Biow organizes this volume around the literary topos of the bleeding branch through which a metamorphosed person speaks. In each chapter the author takes this "marvellous event" as his starting point for a broad-ranging comparison of the several poets who employed the image; he also investigates the ways in which a period's notion of "history" underpins its representations of the marvelous. This method offers a controlled yet flexible framework within which to develop readings that engage a multiplicity of theories and approaches. 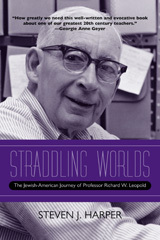 Mirabile Dictu offers not only an insightful survey of the literary connections among this group of important poets, but also a useful point of departure for scholars and students intrigued by the reuse of epic conventions, by the peculiar role of "marvellous" events in dramatic poetry, and by the later history of classical literature. 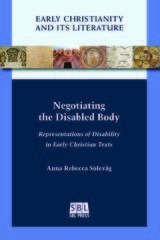 Anna Rebecca Solevåg explores how nonnormative bodies are presented in early Christian literature through the lens of disability studies. In a number of case studies, Solevåg shows how early Christians struggled to come to terms with issues relating to body, health, and dis/ability in the gospel stories, apocryphal narratives, Pauline letters, and patristic expositions. Solevåg uses the concepts of narrative prosthesis, gaze and stare, stigma, monster theory, and crip theory to examine early Christian material to reveal the multiple, polyphonous, contradictory ways in which nonnormative bodies appear. 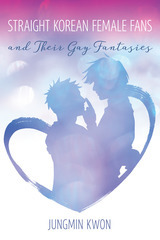 Asian American rhetorics, produced through cultural contact between Asian traditions and US English, also comprise a dynamic influence on the cultural conditions and practices within which they move. Though always interesting to linguists and "contact language" scholars, in an increasingly globalized era, these subjects are of interest to scholars in a widening range of disciplines—especially those in rhetoric and writing studies. Mao, Young, and their contributors propose that Asian American discourse should be seen as a spacious form, one that deliberately and selectively incorporates Asian “foreign-ness” into the English of Asian Americans. These authors offer the concept of a dynamic “togetherness-in-difference” as a way to theorize the contact and mutual influence. Chapters here explore a rich diversity of histories, theories, literary texts, and rhetorical practices. 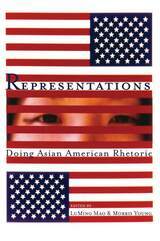 Collectively, they move the scholarly discussion toward a more nuanced, better balanced, critically informed representation of the forms of Asian American rhetorics and the cultural work that they do. Microchips. Genetic modification of plants. Cloning. Advances in technology promise to shape our lives more profoundly than ever before. Exciting new discoveries in reproductive, genetic, and information technologies all serve to call into question the immutability of the boundaries between humans, animals, and machines. The category of the “posthuman” reflects the implications of such new technologies on contemporary culture, especially in their capacity to reconfigure the human body and to challenge our most fundamental understandings of human nature. 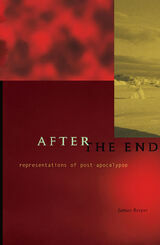 Elaine L. Graham explores these issues as they are expressed within popular culture and the creative arts. From the myth of Prometheus and the Gothic horror of Frankenstein’s monster to contemporary postmodern science fiction, a gallery of fantastic creatures haunts Western myth, religion, and literature. They serve to connect contemporary debates with enduring concerns about the potential—and the limits—of human creativity. This book breaks new ground in drawing together a wide range of literature on new technologies and their ethical implications. In her explorations of the monstrous and the cyborg, Graham covers the Jewish legend of the golem, the Human Genome Project, Star Trek: Next Generation, Star Trek: Voyager, Fritz Lang’s Metropolis, Donna Haraway’s cyborg writing, andmany other related topics. This book will interest students in cultural studies, literature, ethics, religion, information technology, and the life sciences. Since the first Baltic nations joined the European Union, debates about reorganizing post-Soviet republics have grown increasingly heated. How do citizens in the Baltic and South Caucasian states cope with EU expansion and the feeling of existing simultaneously “inside” and “outside” Europe? Based on ethnographies and archival work, Representations on the Margins of Europe offers new insights into shifts in the national identity, cultural geography, and symbolic boundaries. This exploration of local responses to Europe’s new hegemony will appeal to anyone interested in anthropology, history, and politics. 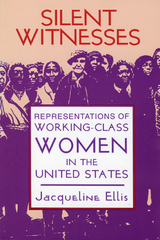 Through detailed analyses of documentary photography and radical literature, Silent Witnesses explores how working-class identity has been repressed and manipulated to fit the expectations of liberal politicians, radical authors, Marxist historians, feminist academics, and contemporary cultural theorists. This edited volume provides a multifaceted investigation of the dynamic interrelations between visual arts and urbanization in contemporary Mainland China with a focus on unseen representations and urban interventions brought about by the transformations of the urban space and the various problems associated with it. Through a wide range of illuminating case studies, the authors demonstrate how innovative artistic and creative practices initiated by various stakeholders not only raise critical awareness on socio-political issues of Chinese urbanization but also actively reshape the urban living spaces. The formation of new collaborations, agencies, aesthetics and cultural production sites facilitate diverse forms of cultural activism as they challenge the dominant ways of interpreting social changes and encourage civic participation in the production of alternative meanings in and of the city. Their significance lies in their potential to question current values and power structures as well as to foster new subjectivities for disparate individuals and social groups.